Unraveling of “the story” will be at 1:30 p.m. Saturday, March 1, for the Prairie Talk Ranching Heritage series, designed to share the culture of agriculture, at Pioneer Bluffs near Matfield Green, according to Lynn Smith, executive director of Pioneer Bluffs. 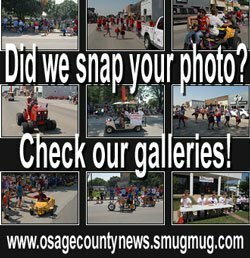 “This Prairie Talk will be on the same day as a tree pruning workshop at Pioneer Bluffs, which begins at 10 a.m.,” Smith noted. “Pioneer Bluffs, on the National Register of Historic Places, is the original homestead of the Rogler Ranch, and now a nonprofit organization with a mission to respect the land, preserve history, and engage community. “Those wishing to come early on March 1 are invited to lunch at noon prepared by Pioneer Bluffs volunteers. 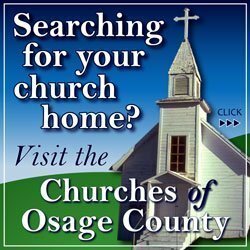 There is no charge for this Prairie Talk, the tree pruning workshop, or for lunch, but donations will be gratefully accepted,” Smith said. 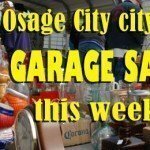 Lunch reservations are requested and can be made by contacting Smith at 620-753-3484 or [email protected]. The Moxley story of ranching heritage will be shared by Rep. Tom Moxley, who now operates the historic ranch, and also serves the 68th district in the Kansas House of Representatives, serving the people of Morris and much of Dickinson counties. Tom Moxley’s great-grandparents made a courageous decision when they left home at Moxley Landing on the Cumberland River in Kentucky with their 11 children after the Civil War. They sought a peaceful home to raise cattle, crops, and children, and found that in the Flint Hills of Kansas in 1871. “In settling Kansas, our forbearers often left despair behind and saw great promise in a new life on the prairie,” Moxley said. “The resilience, forthrightness and concern for their neighbors were a survival trait of those times, and those qualities still show through in the current generation of ranchers. “As a result of the human and financial carnage of the Civil War, John and Sarah Moxley were looking for open country where farming did not require constant tree cutting to clear the fields and an area that would support cattle,” Moxley said. With a train of 14 wagons, lots of children, and a herd of cattle, they forded the Mississippi River at St. Louis and the Missouri River at Westport (Kansas City) and followed the Santa Fe Trail southwest to Council Grove, Kan., arriving on Dec. 7, 1871. The older boys rode horses, leading the oxen which pulled the wagons. The younger children pushed the cattle behind the train. 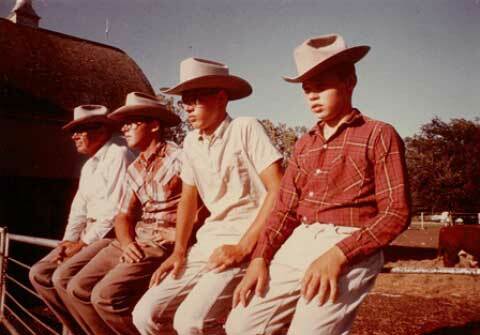 Jeptha Forest Moxley, father of Jerry Moxley, was 6 when he made the memorable trip as a young cowboy. As a youth, Jeptha Moxley herded cattle in the largely unfenced tall grass range in a radius of 25 miles from the homestead. “It was unfenced because the area had few trees for posts, and there was no money for barbed wire,” Tom Moxley clarified. That Medford, Okla., tract was wheat farmed with a team of horses from about 1911 to 1920, by Jeptha’s teenage sons, Harry and Jerry Moxley, who spent their Oklahoma summers living in a dugout and hunting wild game for food. Harry, the oldest, went on to graduate from Kansas State Ag College (KSAC), which is now Kansas State University at Manhattan, in 1920, and later specialized in equine science as a professor at Michigan State University. An agreement by Jerry Moxley to purchase the ranch was made on Feb. 28, 1935, the day before it was to be foreclosed upon by the bank, records show. For 10 years after buying the ranch, Jerry Moxley continued to work for K-State and commuted to the ranch on weekends. 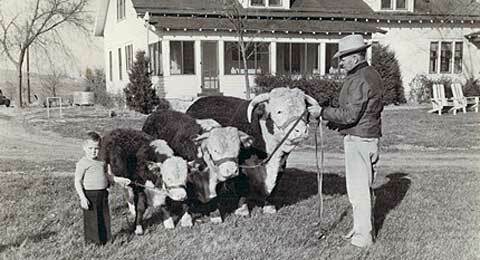 In 1945, Moxley sold one Hereford bull calf for more than his annual salary, and realized he could afford his dream of full-time ranching. 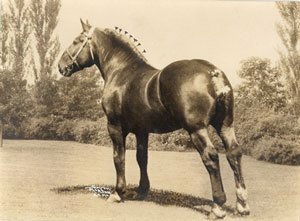 Registered Hereford seedstock was the economic driver of what was known for decades as Moxley Hall Herefords. 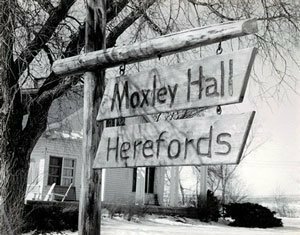 The ranch was named Moxley Hall by family friend and cattle breeder Dan Casement, of Manhattan, who knew of a Moxley Hall estate in England. Lynn’s life work was at the Veteran’s Administration, in Washington, D.C., and George is a rheumatologist at the Medical College of Virginia, in Richmond. Hall bought and developed a neighboring property that he operated until his death in 1984. Virginia Moxley has retired as dean of the College of Human Ecology at Kansas State University. Tom and Virginia’s children are Amy Westfahl (Jerrod) and Angela Weltz (Andy). Amy and Jerrod Westfahl have three children, Eden, Cade and Isaac, who, when horseback, are the sixth generation of the Moxley family connected to the Flint Hills ranching Moxley legacy.